Written by Nicole Kohler on August 22, 2016 Blog, eCommerce inspiration, WooCommerce. According to the most recent report from BuiltWith, 39% of all eCommerce sites are powered by WooCommerce and WordPress — over 1.5 million active stores. Add in the usage of additional eCommerce platforms powered by WordPress and the CMS’s own 17.6 million live sites (over 26% of the entire internet! ), and, well… that’s a lot of sites. Developers and store builders don’t just choose to work with WordPress because it’s free (although it is) or because “everyone else is using it” (although they are). There are some pretty convincing reasons why WordPress has climbed to the top of the charts, and why WooCommerce has soared in popularity right along with it. Stores backed by WordPress have multiple advantages over those on other platforms. And these advantages allow them to work faster, spend less money, and ultimately become more successful than their counterparts. When you set up a store using a hosted platform, you’re essentially paying to rent your space from someone else. Hosted platforms can also limit your ability to customize your store’s appearance or sell specific kinds of products or services. The beauty of WordPress is that it’s completely under your control. You choose where to host your store, how you want it to look, and how you want to extend it. WordPress is flexible from top to bottom — hosting, content, expandability, and design. When you set up a store with WordPress, you’re in full control of the entire experience. When you download a theme, you can customize it to suit your needs. If your hosting seems slow, you can upgrade it or simply switch hosts. Why using WordPress for your store works: it puts you in control of everything. You’re never “stuck” with anything. If you decide you no longer like your URL, you can change it. If you don’t want to use a specific plugin, you can find a replacement. WordPress isn’t anything like hosted platforms that give you a single choice and tie you to it for life. You’re not even stuck with WordPress: if you ever decide to move to a different platform, there’s nothing stopping you from taking your data with you. WordPress allows you to export all your content, including Posts and Pages, in a handy XML format, while your WooCommerce products can be saved as a CSV. There’s also an extension available to export your orders and customer data. No matter what your plans are, when you start with WordPress, your store’s data is yours (and yours alone) forever. We already mentioned that building a site on hosted territory could limit your ability to grow or extend. Not so with WordPress — you can add as much functionality as you want through the use of plugins and extensions. The plugin directory on WordPress.org is filled with thousands (over 46,000, to date) of free tools you can use to extend your site. There are complex SEO plugins, simple widgets, and everything in between. If you can think of it, there’s probably a plugin for it. 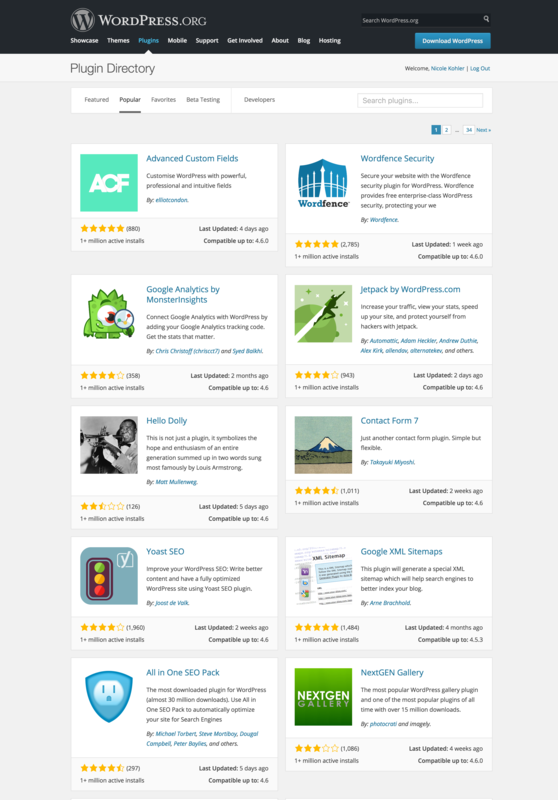 Some of the most popular plugins currently served up by WordPress.org — and there are plenty! Not finding a free plugin on WordPress.org to fit your needs? Reliable premium plugins and WooCommerce extensions are now just as easy to find. We have our own selection right here, and there are plenty of other marketplaces and third party sites selling their own. Want help figuring out which plugin or extension to use for a specific need? Read through this guide to choosing the right one before you buy. Some eCommerce platforms give you a powerful store, but the design is up to you — which means you’ll need to hire a developer to get what you want. Other platforms allow you to switch between pre-made themes, but if you want to make changes? Forget about it. The powerful theming options built into WordPress allow stores to change their appearance as they please, and without any big time or financial investments. Want your store to look different? Swap your theme. Not happy with the colors? Changes made in the Customizer menu or even or a child theme will do the trick. 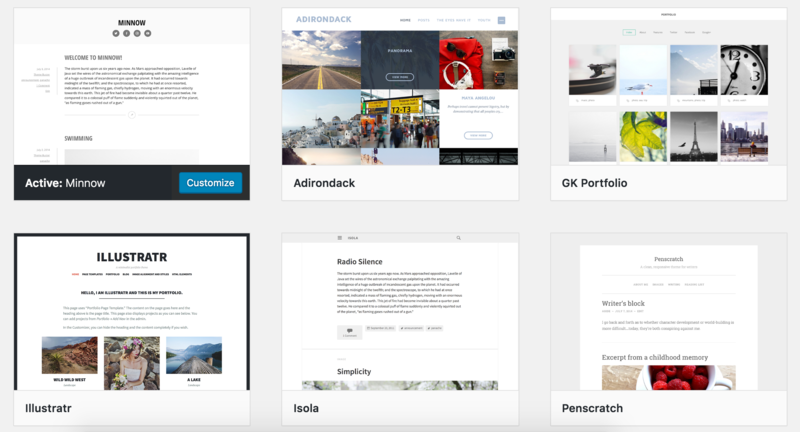 Change your theme, change your whole site — in a snap. This flexibility continues even once a store owner has settled on a layout they’re happy with. Adding a new navigation option is as simple as spending a few minutes editing a single menu page; putting a promotional banner in a sidebar or the footer requires only simple HTML in a widget that can be dragged and dropped into place. You don’t need to be — or to hire — a developer to become a store builder with WordPress. With a bit of reading and experimentation, you can build, and design, and run, a beautiful, flexible store that meets your needs and fits right into your niche. 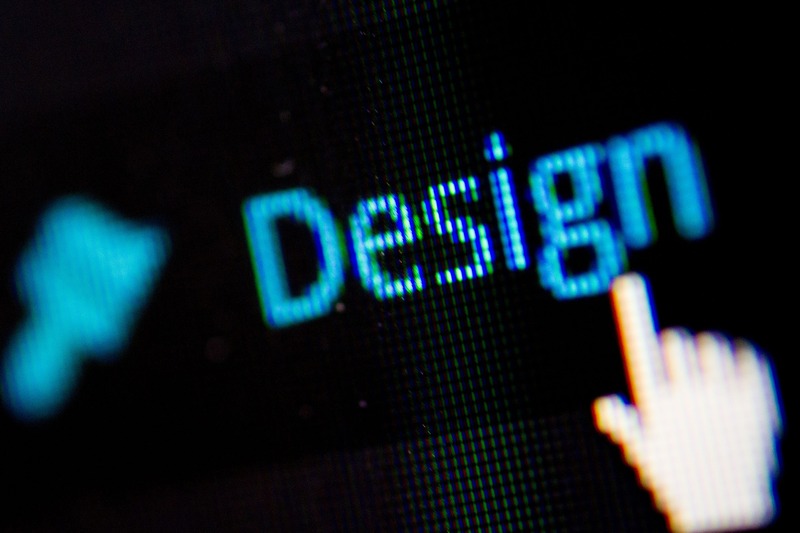 Curious about the most important features of a store’s theme? Have a look at this post, which should help you pick the right one for your new or future shop. People who have heard of WordPress (or even used it!) as a blogging platform sometimes question using it to run a store. What they usually don’t realize is that its built-in publishing capabilities are one of the very reasons it makes such a great eCommerce platform. WordPress gives anyone the ability to efficiently create and publish content on the fly. For a store, this translates into product, category, and landing pages that can be created quickly, look beautiful, and are able to be edited or changed at any time for any reason. Some eCommerce platforms require knowledge of HTML to create beautiful landing pages, or have sparse visual editors that don’t allow you to make high-quality product pages without knowing code or hiring a developer. With WordPress, though, you can use the editor and tools you’re already familiar with to build up your store. We’ve mentioned WooCommerce, our free WordPress plugin for setting up an online store, a few times along the way here. While there are multiple ways to set up a store with WordPress and multiple solutions for selling online, we think WooCommerce is the best choice because it allows you to sell anything, anywhere — beautifully. No matter what you want to sell in your store, you can do it with WooCommerce and WordPress. Have twenty thousand SKUs with variations? Doable. Have a single digital product with just a few images? Sure thing. Have a look at what WooCommerce has to offer and what it can do. It’s a winner in plenty of books, and we’d love for you to join the list. Stores powered by WordPress are winning — is yours among them? Between the flexibility of open source to the wide availability of free and paid solutions to built-in image and content management, it’s clear: WordPress gives online stores a huge advantage. If you’re not already using WordPress and the free WooCommerce plugin to run your shop, we’ve just given you plenty of reasons to try it for yourself. Install WooCommerce now and get started. Already have an incredible WordPress and WooCommerce-powered shop you want to share with the world? Submit it to the WooCommerce Showcase and we just might add it to the lineup. Too bad if you have issues with your platform you are SOL when it comes to support. CC processing isn’t working intermittently and after 48 hours of having a ticket open I have yet to hear from your support staff. Hi there, mind sharing your ticket number with us? Note that we operate support M-F currently so if your ticket was opened over the weekend we’re likely catching up to it now. I would be interested if other shop systems have better support (Shopify, Magento, Jimdo). I doubt this because good support is time consuming and expensive. If I have a problem with PayPal, Paymill or the likes it usually takes a week or longer and the answers are usually not in person but copy and paste – and in the end not helpful (for instance, sometimes something like a link to their faq). On average I have to wait about 2-5 days until an issue has been resolved with WooCommerce. Still too long. But the support is in person and nothing copy and paste. We also use a custom theme (Virtue Premium) and their response times are within a few hours, for just about 50 € a year – outstanding support I’ve never seen in IT industry. So for us, the support commercially but also from the WordPress.org community has been a big win compared to other solutions. I have been using WP as a mini-CMS since version 1.5, and using a different WP plugin to provide Pay-Per-Video of sporting events. I have just started looking into Woo as a payment gateway for video, and need a way to “hide” the purchased post from viewers who have not paid. This is different than a digital download, since we only want purchasers to see the video, and not be able to keep it. Where could I get some help on this? Can’t get it to the hide the post in testing. And embed the video into a members-only page. Woocommerce is good, the only problem is that too many not so good plugins are available to buy and it’s hard to find the good ones, especially when you know that your Woo store will load very slow if you add too many plugins. Otomatik should select and test the plugins and help us to find the best ones for what we need (no, a forum is not enough). Nicole, it’s really good to know that 39% of E-Commerce sites are powered by WooCommerce and WordPress. It shows the ultimate popularity of WooCommerce and I totally agree with you that WooCommerce comes with vast customization features which one is controllable by the users. And the uncountable and wonderful plugins and extension makes it more powerful and incredible in the E-Commerce Industry. I have found such a great and valuable reasons throughout this blog. I am WordPress WooCommerce developer and it’s really good to see the extreme popularity of WP in E-Commerce. Great Post. Thanks for informative words. 2 – They tell you (if you can even find the update to download) that you have to deactivate and delete your older version. What?? So I lose everything? And backup is near impossible. Great post! Definitely worth a share! WordPress + WooCommerce is such a great combination! All our clients are more than happy with their setups. Hi, I really agree with WordPress in combination with WooCommerce is the best option for a lot of clients who want to set up an e-commerce website. You can have it all, like you want to, with minimal financial investment. But the positive points in your article are true for other open source systems as well, or not? So how do you see what’s the main advantage of choosing WooCommerce over for example Magento? I love the extensibility and flexibility of WooCommerce! Although it took Support a month to identify a bug and give us a workaround re the Woo database, in general I find Woo Support very helpful and professional. – The integration with my cc processor (Bluepay) is slow once the customer has entered their shipping and payment data, causing some customers to try to hit the button again or hit the back key or even give up. Is that the same for all cc integrations or just Bluepay? – The plethora of extensions/plugins is confusing. Some do very little for their premium price. And once you’ve chosen some needed extensions, you may be paying a whole lot more for your store than you expected, which is probably by design. Having said that, so far the few extensions we’ve used seemed to be tested well enough prior to implementation, which is a high compliment coming from a long-time software developer. 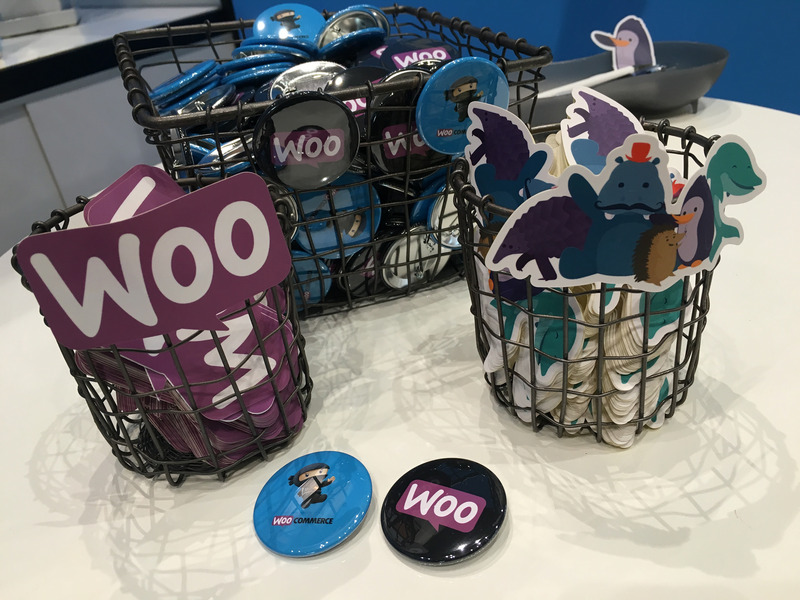 Totally agree – WordPress + WooCommerce = Perfect combination. WooCommerce is one of the most popular eCommerce platforms worldwide.